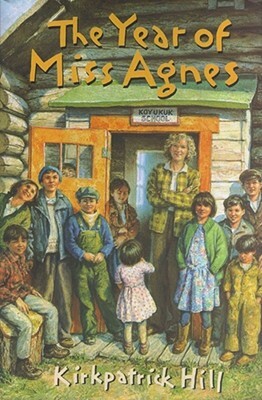 One main character in The Year of Miss Agnes is Miss Agnes. Some character traits for her are that she is a good teacher. She is also helpful and kids are important to her. It’s important that kids learn. Miss Agnes helps a lot. She taught Bokko. She also taught adults from the village even though they weren’t students. When Marie had to stay home and take care of kids, Miss Agnes had Marie come to her house at night to keep learning. She played her squeezebox at village parties so the band could take a break from playing music and dance. Kids and learning are important to her as well. She tells Fred and Bokko’s mom that Bokko should go to school even though she is deaf. When Little Pete had to leave to work on the trapline, she read extra long so he could hear the end of Robin Hood and told him to write in a journal she gave him every day when he was gone. When their school was about to close, she gave up going home to England to stay and keep the school open. That totally shows that kids and learning are important to her. 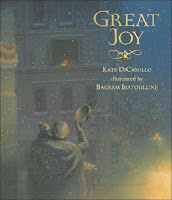 The original plan was to start my review of Great Joy by Kate DiCamillo with two Christmas lists, but I quickly realized that both lists were the same. So I combined them. And now I share them with you. Candy canes, cookies, red and green, fake reindeer antlers, bad sweaters, bells, over-sized stockings, spruce trees, Black Friday, an increase in mail, “Ho Ho Ho,” the Christmas Eve vs. Christmas morning debate, “Bah, humbug!” and these guys. Anyway, back to the book review. Curious where they went in the evening, Frances sneaks a peek one night to discover that they sleep on the street. In the cold. Alone. Frustrated at their circumstances, and at the fact that her mother won’t allow them to come for dinner, Frances rushes over to them on her way to the church Christmas play and invites them to the show. And here’s what Christmas is really about. 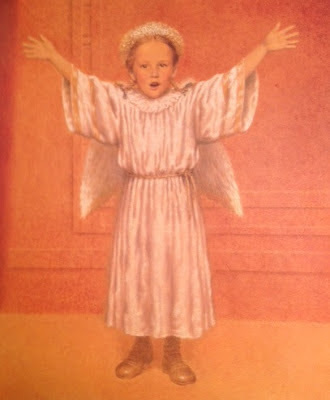 When Frances takes the stage, she temporarily forgets her line, an important line in the Christmas story. The shepherds whisper a reminder and the camel sways nervously, waiting, but … nothing. Nothing, that is, until a cold old man and his monkey quietly enter the warm sanctuary. Merry Christmas. May it be filled with Great Joy. I just finished The Year of Miss Agnes. This is the plot. 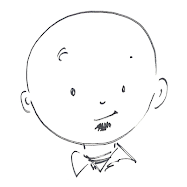 In the introduction I learned that Fred was the main character. 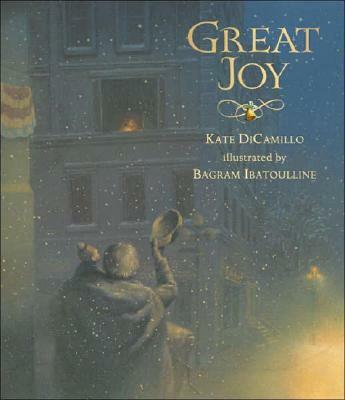 Other characters include her classmates, her sister and mother, the people in town, and Miss Agnes. It is set in Alaska in 1948. The mood is unhappy because all the teachers they ever had have left them. The conflict is that once the kids like Miss Agnes, they don’t want her to leave. Some events in the rising action include when Miss Agnes insists that Bokko come to school and she teaches Bokko sign language. She has students write stories about themselves. Miss Agnes puts a huge time line on the wall with pictures and has the class play Time Machine. She makes learning fun for kids who used to think it wasn’t important. The climax of the story, the most important event, is on the last page when Fred and Bokko looked through the school window to see Miss Agnes and they knew that Miss Agnes decided to stay for another year. Or longer. The Year of Miss Agnes has no falling action. The book ends with the climax. The resolution is that Miss Agnes has decided to stay and teach them. Readers don’t know why she decided to stay, but maybe it was because Miss Agnes's mom in England already died or that the students really wanted her to stay. Maybe she just wanted to stay in this place. I wish the falling action included more information, like how long Miss Agnes stays, does she ever go back to England, does she ever get married, and does Fred ever follow her dream of going to college? Today in Flush, Noah was unfortunately trapped inside the main setting of the chapter: the women’s bathroom on the Coral Queen. He describes it as basically a closet with barely enough room to sit and do your business. It smelled like a combination of Clorox bleach, bathroom, and Shelley’s tangerine perfume. (Shelley was in the bathroom with him for a short time.) There is an “Out of Order” sign hanging on the outside of the door. In the bathroom there was a sink, and Noah had to brace his feet against it to keep an 85-year-old lady from coming in the bathroom while he was in there. Noah is in the bathroom while the Coral Queen is open one night. He can hear the noise of the casino - the slot machines and the band. He sneaked on board before the boat opened at 7:00 and stayed in the bathroom for about an hour, I’m guessing, to flush enough times for his plan. Then he made a break for it. Noah is sort of disgusted that he’s in the “Mermaid’s” bathroom. He’s also nervous about getting caught, but he also knows that his father would be proud of him. I think that knowledge makes Noah somewhat brave. When the old lady started banging on the door, he was confused that she ignored the out of order sign. He was scared when he was being chased by the two bouncer goons and he jumped off the boat. I’m a little nervous for Noah. At the end of the chapter, Noah jumped off the boat to freedom yelling, “Geronimo!” At first Noah believes he was jumping to "sweet freedom," but then the chapter ends with, “Or so I told myself...” To me that means Noah thinks everything is going to be okay, but later he learned that no, in fact there was going to be a problem of some sort. What that problem is, however, I don’t know. 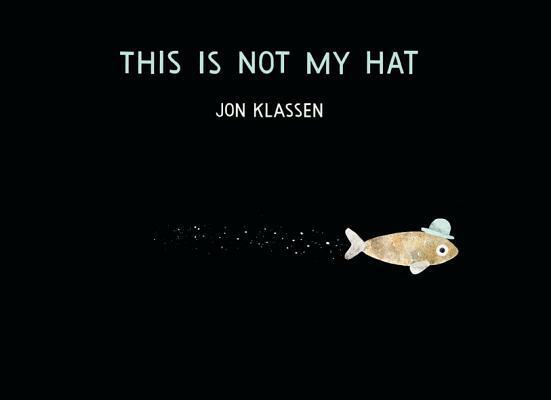 My original review of I Want My Hat Back says, “Sometimes - no, oftentimes - the simplest books end up being the best books.” I then went on to summarize the book in five lines. 1. A little fish has stolen a hat from a big fish. 2. The little fish is unrepentant and rationalizes his deed. 3. The little fish confides in the reader and one other marine critter. 4. A permanent home is determined for the hat. The little fish readily admits what he has done on the first page. “This hat is not mine. I just stole it.” The little fish then goes through a litany of reasons why he will get away with his theft. He does not necessarily tell why it was okay to steal the hat, but clearly believes that getting away with it is justification enough. 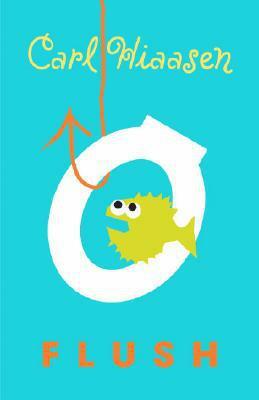 As the little fish goes through his reasons, it’s the illustrations that complete the story. The little fish explains that the big fish was sleeping when the theft occurred, “and he probably won’t wake up for a long time.” Oh, really? Check the illustrations. But so what if he does wake up? “He probably won’t notice that it’s gone.” Uh-huh. Right. Can the little fish make it to “where the plants are big and tall and close together?” Will the big fish even realize his hat is missing? Is the little fish’s confidence warranted or will he be called to account for his crime? I just finished Who Could That Be at This Hour? by Lemony Snicket. (He’s the author of A Series of Unfortunate Events, which I read, and I loved.) Anyways, this new book is the first of four in a new series called All the Wrong Questions. The genre of this book, and the new series, is mystery. The main character is a young Lemony Snicket. He is an apprentice to S. Theodora Markson, and together they have been assigned to get back an item that has been stolen from Mrs. Murphy Sallis. The item is a statue of a mythical creature called the Bombinating Beast. Who could have stolen the statue? Will S. Theodora Markson be able to get it back? Will Lemony Snicket learn anything from his chaperone? These are all the wrong questions. 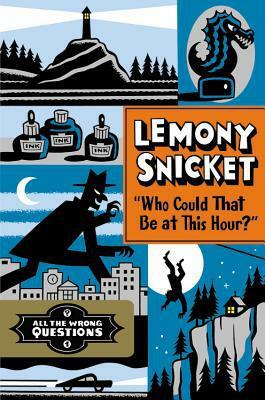 While Lemony is investigating the crime, he discovers that there may not have been a crime after all. He also meets numerous characters like kid-journalist Moxie Mallahan, sub-librarian Dashiell Qwerty, eavesdropping hotel owner Prosper Lost, a kidnapper named Hangfire, and a mysterious girl in the Clusterous Forest named Ellington Feint. Actually, it’s not fair to call Ellington Feint mysterious since all them are mysterious in some way. Why is Prosper Lost eavesdropping? Who is Hangfire? Why does Dashiell Qwerty open the library so early? Again, all the wrong questions. By the end of the book, Lemony Snicket has the mystery of the Bombinating Beast and its rightful owner solved, but more mysteries have appeared. What is the Bombinating Beast for? Will Ellington Feint find her father? Does Lemony Snicket’s secret organization have anything to do with V.F.D.? What is Kit Snicket up to? I don’t know if these are all the wrong questions or not, but they are definitely questions I want answers to and proof that this book is a mystery. P.S. I found this book trailer. Does it get me extra credit? 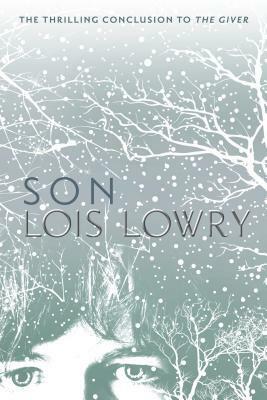 I just finished reading Son by Lois Lowry and wanted to tell you about the setting. There are three main places where Son takes place. The first setting is the community where Jonas and Gabe live in The Giver. Claire is a birthmother in the community. (The title refers to her son.) She received her assignment at the Ceremony of Twelve about two years before Jonas receives his selection. I thought a lot about The Giver as I read. Everything in the community is the same. People live in plain houses. They all ride bikes. Meals are delivered to every house. To me it would be a very boring existence. A lot of time is spent in a laboratory where fish are raised to be food. The second setting is a new place, a village on the sea. There is a huge cliff by the village which prevents anyone from leaving the village by land. Most everyone makes a living from the sea. The village is very old and old fashioned. Houses are not much more than huts, there are dirt roads, a harbor with fishing boats, and some fields with sheep and animals. 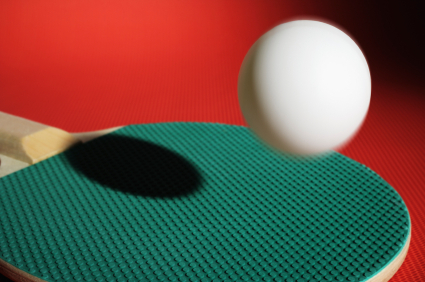 The events that happen here occur after the events of The Giver. Finally, the last setting is the same village as was in Messenger, but the events happen after the events of Messenger. This village is not advanced like Jonas’ first community, but it is civilized and the people are kind. Much of the time is spent in Jonas’ house. (You learn a lot about him in Son, like he’s married and has kids.) His house is warm and welcoming and happy. Whenever I imagine it I see a fire in the fireplace and smell a pot of something delicious cooking. It feels like a place I’d like to sit and visit for a while. After reading the book and knowing that events happen in Jonas' community from The Giver and in the village from Messenger, I was surprised that there were no events in the village from Gathering Blue. Looking back it almost seems like it should. There are still many important connections to Gathering Blue, just not the setting. The book was great, but Lois Lowry has a way of ending books without really ending them, like there’s still much more story to be told. I guess I’ll just have to imagine my own rest of the story. 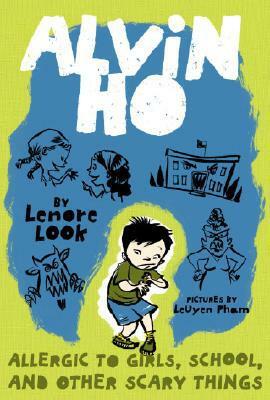 Today while reading Alvin Ho: Allergic to Girls, School, and Other Scary Things by Lenore Look, Alvin used swearing words but they weren’t actual curses. The curses were from Shakespeare. He was at the psychotherapist, but he thought that meant she was crazy, like psycho. I was wondering what some of the curses mean. He said, “Grow unsightly warts, thou half-faced horn-beast!” and “Bathe thyself, thou reeky reeling-ripe pigeon egg!” and “Sit thee on a spit, then eat my sneakers, thou droning beef-witted nut hook!” What’s a nut hook? What is a half-faced horn-beast? Why is a pigeon egg smelly? Maybe when it says ripe, it means that it is a rotten egg. I’ve smelled one of those before, and it’s not pretty. I also wondered why his dad took him to get ice cream. I expected him to get punished for speaking that way, but he got ice cream instead. That didn’t seem right. I thought he might get a spanking or something like that. Usually when you speak mean to someone, you get in trouble. At school that happens. When kids talk mean, they get in trouble. I guess his dad knew he had a bad day at the psychotherapist, and dads know that sometimes ice cream can make things better, especially ice cream with your dad. When I started teaching I knew two things for certain. First, I wanted to read aloud every day. Second, I wanted my students to read every day. I thought I was pretty smart for that. I didn’t call it readers’ workshop. There weren’t mini-lessons, at least not officially, and reading conferences were informal conversations between readers rather than intentional conferences focused on a specific topic. Students were expected to write entries in a reading journal, but my expectations were often loose and not clearly defined. As happens for all teachers over time, the classroom strategies and activities that worked well became more evident, and my instruction become more focused on essential material. 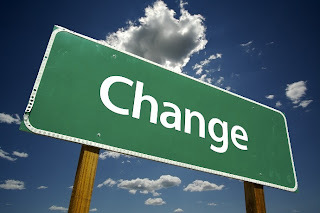 Of course, we teachers are constantly tinkering and changing and improving our instruction as we continue to learn more and gain more teaching experience. As we begin the year, journal entries focus on the question “What are you thinking?” The goal is to get students to pay attention to what they do as readers. Sometimes using our read aloud book, sometimes using my own reading, we discuss, write, and share what we are thinking while we read. As the Help Readers Love Reading site transition continues, sample journal entries will be posted. 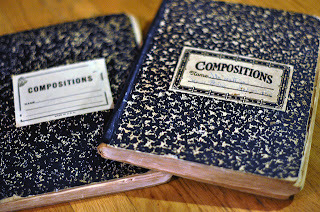 Sample journal entries is a format I’ve not seen on children’s literature blogs so I thought it might be a unique change of pace for readers. My goal is to continue to introduce great books to the site’s readers while at the same time compiling examples to use with students. While searching for her favorite food, opihi (oh-PEE-hay, a delicious sea snail), in a seaside pool, a young woman named Kalei has a run-in with a rogue wave and what appears to be a shark. An ominous black outline complete with jagged teeth is headed right at her as the wave knocks her off the rocks and into the sea. But instead of gnashing teeth, she is grabbed by two strong hands that pull her to safety. Stunned, she can barely utter a thank you as the rescuer warns her that the Shark King does not like visitors. Kalei and her mysterious rescuer fall in love, marry, and soon a son is on the way. Shortly before the child is born, the husband goes swimming in the sea for hours When he returns, he announces, “I’m making a place for our son at the bottom of the pool.” At the bottom of the pool? Then, the night before the boy is born, he leaves completely, returning to the sea and revealing himself to be the Shark King. Kalei is left to raise the boy, Nanaue (nah-NOW-way), on her own. But he is different from the other boys and villagers and must stay hidden. Eventually his secret is discovered when the villagers no longer catch any fish. Blaming Nanaue, the villagers chase him to the only place he can find safety - the pool - leaving Kalei alone. The Shark King is one of Toon Books more difficult books, Level 3 on their Toon Into Reading scale for “Advanced Beginners.” Pronunciations like the ones in this review are included in the text. 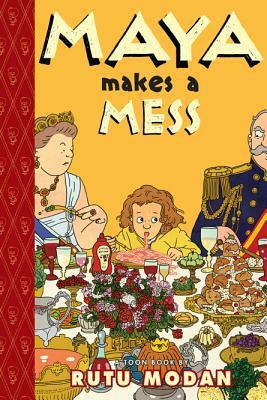 Readers will enjoy Nanaue’s antics that keep his mother busy, as any young boy's antics will. Readers will especially enjoy drawing conclusions about the mysterious Shark King and Nanaue. As with all graphic novels, the text is limited, leaving readers to use the images to understand the events. Should Nanaue wander farther and farther from home? Is Kalei truly left alone? Will Nanaue be safe in the pool? 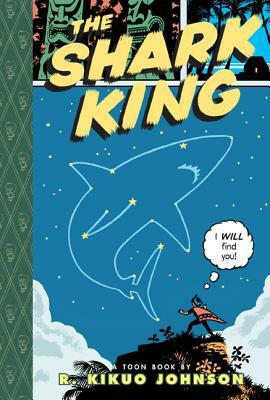 The Shark King by R. Kikuo Johnson is another strong addition to the Toon Books library. 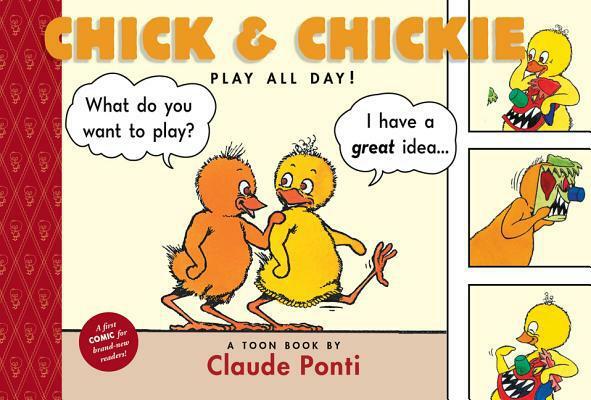 But with Toon Books, that’s come to be expected with each new release. Since this article was originally published in the local newspaper a week ago, people have told me about Erik Estrada, Shaun Cassidy and "Da Doo Ron Ron," and the Jonas Brothers. I suppose when a magazine has been around for nearly fifty years, there are going to be a great variety of generational memories. It's been fun learning about babysitting allowances being saved and walls being covered, and I'd love to hear even more. Thanks for reading. and please consider sharing your own Tiger Beat memories. 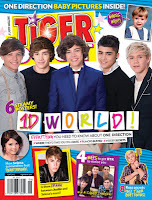 A Tiger Beat magazine recently turned up in my house. 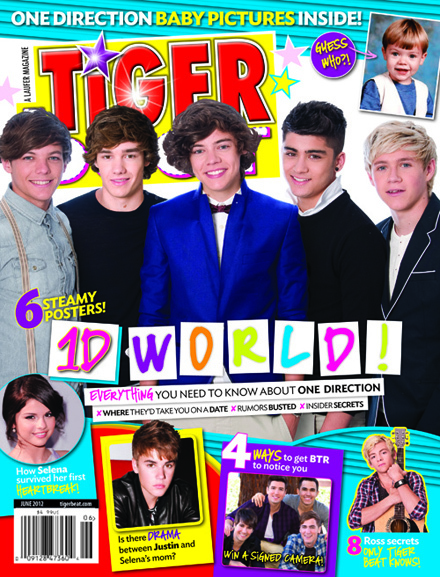 Seriously, they’re still making Tiger Beat. I thought it died with parachute pants, eight-inch bangs, and Baby on Board, but it seems I was mistaken - about Tiger Beat, not the parachute pants. But what drum brought this beat to my house? Magazines don’t just randomly appear on kitchen counters, and I certainly never wrote a check for a subscription. First, I weeded out the fringe suspects. Grandma and Grandpa: No flowers, no recipes, no woodworking, and no sports in Tiger Beat. Wasn’t the grandparents. The two-year-old nephew: No Thomas the Tank Engine pictures. He’s out. Aunt and uncle: No coupons. No lists of baby names. Nope, not them. Time to look closer to home. Time to look IN the home, as a matter of fact. Four people live in the house, which left three main suspects. There were only three main suspects because one of the residents, me, was not a suspect. Trust me. 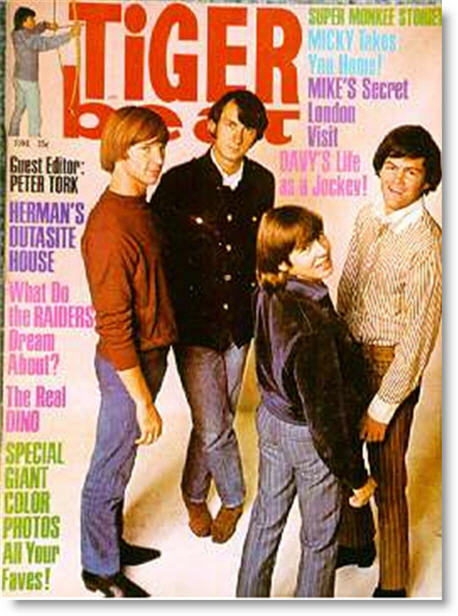 The boy: Despite liking music, a staple of Tiger Beat since Monkees made music, and having a proclivity for posters on his bedroom walls, it doesn’t appear to be the boy. Unless Tiger Beat features photos of Prince Fielder and Justin Verlander - you know, DETROIT Tigers - which it undoubtedly does not, then it wasn’t the boy. The wife: Drawing on my best memories of the magazine, which are admittedly limited, I felt this issue of Tiger Beat was severely lacking in pictures of Ralph Macchio, Kirk Cameron, and Patrick Swayze. True, the posters could have already been nipped out, but had that been the case, I’d be waking up to Daniel-san, Mike Seaver, and Johnny Castle on my bedroom walls. The wife was no longer a suspect. That left the thirteen-year-old daughter as the only logical option. By process of elimination, the culprit, I believe, had been exposed, and it didn’t take much sleuthing for suspicions to be confirmed. There was music coming from her room, paper trimmings and scissors on the floor, and walls covered with photos of floppy-haired boys. It’s a classic example of the more things change, the more they stay the same. Regardless of the decade, certain truths remain evident: Whether it’s Monkees or New Kids or One Direction, groups of shaggy-headed boys will make music, and hoards of girls will obsess over them. And cover their walls with the boys’ photos. It doesn’t matter if these young men are singing about why Sleepy Jean needs to cheer up (Oh, what can it mean?) or explaining how she’s got the right stuff (Oh-oh, oh-oh-oh), or wondering how everyone else in the room can see it (You don’t know-oh-oh, you don’t know you’re beau-ti-ful), the chorus will echo throughout the house ad nauseam. Moms will reminisce about their past obsessions. Dads will cover their ears and complain about the noise. And everyone can’t help but sing along. There are approximately 4 million children born each year in the United States. That means there are around 8 million two- and three-year-olds. Eight million kids learning to speak ... with varying results. My own kids are no exception. With all these little ones toddling around, trying to successfully speak what they've been hearing their whole lives, I know there must be other kids with names like Beef and Maymay and Bubba and Teetee. I have a son named Beef. No, this is not the name on his birth certificate, Beef not being what our grandparents might call "a strong, Christian name." Beef is not a traditional family name, nor is it a tribute to a close friend, favorite literary character or dinner selection. It's all because of his sister, Maymay, who, needless to say, has her own name issues. Once, when I was changing Ethan's diaper, Megan, then 3, tried talking to him using his first name. "Eefy," she said, with concerted effort. Now, the boy was in that 9 to 12 month range, when eating has been mastered but moving is still a challenge, so he wasn't yet burning off the calories he was taking in. Both legs had rolls at his ankles, mid-calf, knee, mid-thigh and hip. "Eefy?" I asked. "Look at those legs. Beefy is more like it." A nickname was born. Sure, I might have added the B, but the girl's "Eefy" was the inspiration. Ten years later and the boy is writing Beef on his school papers and talks about going to court to make it legal. His own mother calls him Eef. He's the Beefer, Beefy, Beef, Eef, and, occasionally, Eefy-Beefy. And he's built like a butter knife's profile. It's like calling the short kid Stretch. Three years later, the Beefer returned the favor. Megan was one syllable too many. "May!" he'd yell. It was a process. We worked at it. He created variations -- May, Maymay, Maynuh, Maynuhmay -- but in the end Megan turned out to be a name he could handle. Today she prefers Meg, but there's still ample family evidence of her nickname's history. Last weekend we went to Bubba's house. Bubba, or Caleb more accurately, was known as Cabub for a while, thanks to the Beefer's linguistically challenged fourth year of life. Naturally, Cabub evolved into Bubba. Bubba and Beefy: Two skinny kids who have names that sound like the hosts of "Deep Fried Favorites" on the Food Network. Eef and May have a 2-year-old cousin. Alex is still contemplating Meg's name, but he's got Ethan's. His version, anyway. "Eeeeeeee!" Alex says when he sees him. He can even communicate full sentences using only Ethan's name. "E?" translates to "Have you seen Ethan? I have come to his house and am eager to play that game where we run recklessly throughout the living quarters." Let's face facts: Grown-ups aren't very creative. Our best nicknaming seems to revolve around the letter Y -- either adding one or cutting one. Is this the best we can do? Call the guy named Smith, Smitty? Change Murphy to Murph? Kids create the best nicknames when they try pronouncing real names correctly. So now I want to know your family's best kid-created nicknames. 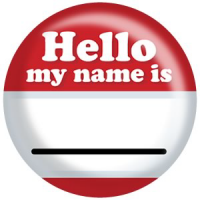 Email me your stories at KidNicknames@gmail.com, and if the feedback is good, I'll write a follow-up article. Don't wait! Get on that, Teetee. 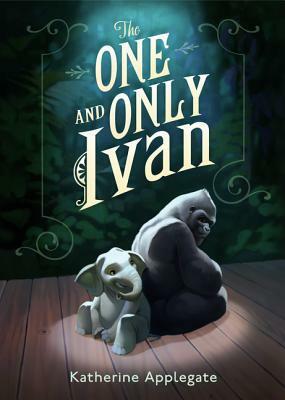 I had been hearing about The One and Only Ivan for a while and planned to buy the book sooner than later, when one Monday morning it simply walked into my classroom. "Mr. Wilhorn, I want to show you this book. It is, like, the best book I have ever read," said Claire, the student holding Ivan out to me. "You need to read it." I'm not sure how I responded, but I know I was excited to finally have the book. Then Claire said, "Oh, by the way. Since you always have us write journal entries about the books we read, YOU have to write a journal entry to me." So I did. And Claire and her mom graciously allowed me to use our journal conversation as a review of The One and Only Ivan. Thank you for loaning me The One and Only Ivan by Katherine Applegate. I had been wanting to read it ever since seeing people on Twitter recommend it, so I was pleasantly surprised when it suddenly appeared in the classroom. Ivan is a silverback gorilla. That means he a grown-up gorilla, and the silver or grey on his back makes him a leader in his family. The problem is that he’s the only gorilla living at the Exit 8 Big Top Mall and Video Arcade. His family includes his dearest friends, Stella, an elephant, Bob, a stray dog who claims to be homeless by choice, and Ruby, a baby elephant recently added to the Big Top Mall. Deep down you can see that Ivan is still a noble and protective silverback gorilla, but I think being in the cage for so long - 27 years! - has made him forget. He says he has a bad memory, but when he tells Ruby a goodnight story, he shows that he can remember things from his past. He tells about his sister, Tag, and others in his family. Ivan is a man (or gorilla) of his word. He promises to take care of Ruby, to protect her even though he thought he had no one to protect, and without giving too much away, Ivan is able to protect her, even though he is stuck in his cage. Finally, Ivan is a talented artist. When he lived in the jungle he painted with mud, but now he uses crayons, markers, and paints to make pictures that Mack sells in the mall. Most of the time people don’t understand what he has drawn, but they like that he draws anyway. But his greatest creation, a giant painting, makes a huuuuge difference in the lives of Stella, Ruby, Bob, and others. Thanks for loaning me the book, and I look forward to your reply. I am glad you have been noticing the little things about Ivan. And I’m glad you are enjoying the book. But what is Ruby feeling at this point? Does she feel scared or sad? If yes, what happened and why? Oh, and make sure to watch what happens with Stella in the book. I think Ruby is one of the smartest characters in the book. When she tells about how she got captured, she realizes that just because bad humans captured her, not all humans are bad. She even said that before a bunch of humans try to help them. It's like she knew there were good people who might help them. She is sad and misses her family, but she is happy that she has Ivan, Stella, and Bob - her new family. I was not too surprised at what happened with Stella. There were some clues along the way. But I was very impressed - incredibly impressed - with how Ivan takes care of things. Much has been said and written about Wonder by R. J. Palacio during its short existence on bookstore and library shelves. Even before its February release, one could see and hear the buzz grow on Twitter and the Internet as advanced reader copies found their way to teachers and librarians. At first I was hesitant to buy into the hype since kids don't generally care about hype. Finally I decided to find out what all hubbub was about and got my own copy. After reading it in one sitting, I knew. 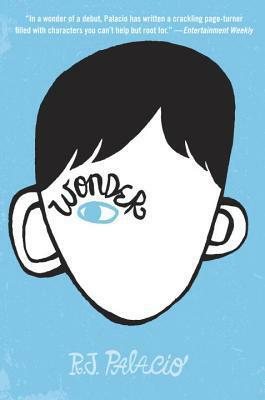 Wonder is one of those books that stays with you long after finishing. 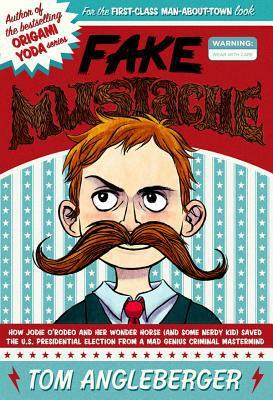 After reading it once I changed my lesson plans to make it our class's next read aloud book. I immediately started rereading. And I started writing. I'm not going to write a full synopsis here. That's readily available elsewhere. But it doesn't matter. You don't need one. Wonder is a book you should read. Wonder is a book you should share. Wonder is a book you should discuss. Parents, children, teachers, students, everyone. As I planned our class read aloud, I wanted to help students see and hear what the main character, August, shared with readers. 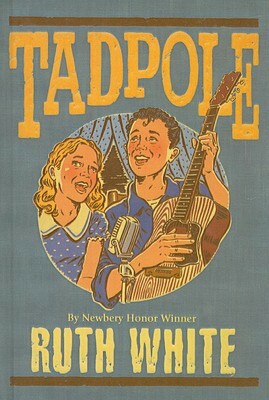 Most sections of the book are introduced by song lyrics, and songs play a role on several key scenes. Auggie also uses numerous Star Wars references, and face it, you don't know who Mon Mothma or Lobot are off the top of your head either, just like I didn't. So I created a visual guide for Wonder to share with my class and posted it on my class blog. These resources are what I started writing as I prepared for our read aloud. Here are links to each section. About a year and a half ago I published a series of posts about my class's experience reading Hope Was Here by Joan Bauer and how some additional research on the students' part let to an interesting discovery. It also led us to an email correspondence with the author herself. Yesterday the Nerdy Book Club blog published a shorter version of the same story. Thanks to everyone from the Nerdy Book Club who visited Help Readers Love Reading after seeing my post on the blog. 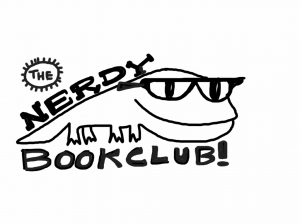 And if you frequently visit this site but haven't visited the Nerdy Book Club yet, here's your chance. Go see what the nerdy (and by "nerdy" I mean "totally cool") readers are up to. 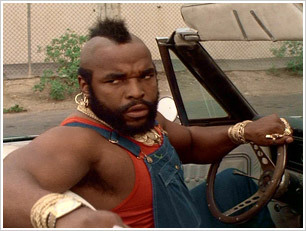 "I pity the fool who won't be my valentine!" This column originally ran yesterday, February 13 (which explains the "tomorrow" that kicks of the first paragraph). With a title that includes Cupid and an image that includes Mr. T., what more introduction is needed? You can view the original column here. Tomorrow, elementary school classrooms across the country will be filled with children delivering valentines. Handmade boxes will be filled with cards featuring favorite musicians, cartoon characters, and even toys, each declaring undying love and a desire to be someone's valentine. Classrooms transformed to mail rooms, all for love. Everyone gets valentines. Class lists are sent home to ensure there is no child left behind when tallying the Valentine's Day booty. Isn't that why the Star Wars and Thomas the Tank Engine and Hello Kitty valentines come in packages of 32? One for each classmate, a couple extra for mistakes and misspellings, and one for the teacher. One might think that with cookie cutter valentines and class lists, the romance would be taken out of Valentine's Day. The "mine" in "Be Mine," after all, is singular possessive. No candy hearts read "Be Ours." How can 24 children all agree to be 24 other children's valentine? Doesn't this reduce Valentine's Day to Halloween Lite? There's just as much candy, but no costumes, black cats or pumpkins, and the farthest you have to walk is across the classroom. Ah, but don't underestimate children. Even in a world of boxed valentines with canned catchphrases, children can find a way to be creative. Just don't expect them to execute their plans perfectly. If memory serves, it was fourth grade. On the night before Valentine's Day, the living room floor was covered with A-Team valentines ("I pity the fool who won't be my valentine!"). Time was up. No more procrastinating. Tired and frustrated, my heart not in it, I quickly wrote my name underneath "from" on the back of each card. Having lost my class list, I got 23 classmates' names on 23 envelopes, then spent 10 minutes wondering who was missing. Realizing I was the 24th (thanks, Mom), I commenced stuffing the envelopes. At the last minute, creativity struck. Cupid handed me an arrow. On one valentine, below my name, I carefully printed, "I like you." Cookie cutter valentines, take THAT! I rushed through stuffing the envelopes, both thrilled and terrified at so openly wearing my fragile 9-year-old emotions on my sleeve. What would happen? What will she think? What will she do? During the class party, I dutifully handed out my valentines. Twenty-three envelopes, including the one holding my confession, were placed into 23 artistically decorated pink and red shoeboxes. Then I sat. Waited. Opened valentines. Munched M&Ms. And secretly stole glances. Would she look my way? Would she smile? Worse, would she frown? Would she call me gross? Surely this proclamation would produce some reaction. What could have happened? Then a new feeling began prickling the hairs on my neck. Excitement had led to confusion, now replaced by the sense that someone was watching me. Had to be. Even fourth-graders know that feeling. Who could it be? Another classmate, three rows over and one seat up, in the opposite direction. Why was she sneaking glances at me? The wrong envelope! Somehow I had either mislabeled, mispackaged, or misdelivered my missive. The experience taught several lessons: Valentines aren't binding contracts. Fourth-graders and romance don't mix. Cupid's arrows stick even if they don't fly true. And only send one valentine.